Today begins the official start of summer for us, and this morning to celebrate the start of summer, I slept until 6:30, can you believe it! Lisa and I both begin our first full week of being off from work, and today is just a lazy day! The weather’s a little dreary today, but since were off it’s still a beautiful day!!! Our first outing of the summer will be this Sunday as we head down to Asheville, North Carolina to begin preparations for our Blogger festival in August. We will be part of the Asheville Wine and Food Festival on August 12th & 13th, and its going to be the must attend event of the season! Make sure to mark your calendars now so you won’t forget. Our official website will be updated shortly and I will be able to direct everyone to the site to register for the event. If anyone is going to be in Asheville Sunday or Monday be sure to drop me a line, I welcome the opportunity to meet you all in person! To start my week off, I was in the mood for something a little sweet and having been given a block of white chocolate to work with, I thought what better way to kick off the sweet season at home. 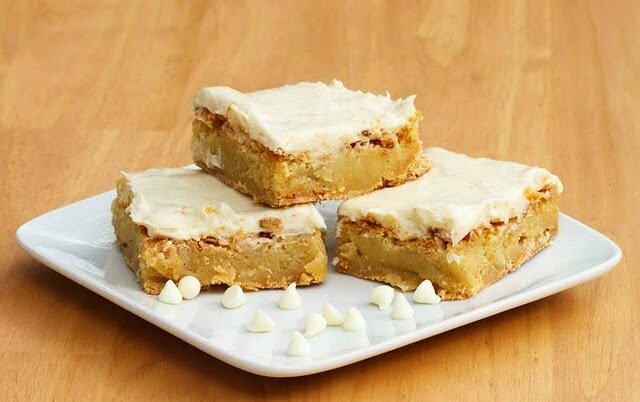 I had come across a recipe for this white chocolate decadence at Your Homebased Mom, and let me tell you she certainly raised the bar with this incredible creation! I did tweak the recipe a bit and used a bit more white chocolate in the my bar, and adjusted the frosting a bit since the original recipe was a bit too sweet for us. It was a dense white chocolate treat that truly was decadent, and the actually size of the bites were about a quarter of a normal bar (that’s just how rich it was). I hope you enjoy my first white chocolate creation of the summer, those little beauties were delicious and very simple to make. 1. Melt the bar portion of the white chocolate and butter in a stainless steel bowl over a pot of simmering water, don’t let it get too hot,it burns easily! 3. Whisk in eggs one at a time and then add in the sugar slowly. 4. Add flour and vanilla bean powder, mix just enough to incorporate flour. 5. Place into a buttered 9 x 13 baking pan. Bake for35-40 minutes, or until blondies are cooked through. 6. Allow to cool and then apply a liberal layer of frosting. 2. Remove the chocolate mixture from heat and in add the powdered sugar and heavy cream. 3. In the bowl of your stand mixer whip 8 oz of cream cheese with your vanilla, then add in the chocolate mixture and allow to mix thoroughly. 4. Apply a liberal amount of frosting to blondies, chill briefly and cut into small pieces. The flavor of the ground vanilla beans really highlighted the flavor of the white chocolate, but if you don’t have any of the powder just substitute pure vanilla, any way you make them they will be decadently delicious! Have a Great Week my friends, and thanks so much for stopping by today!! I tried these out today. 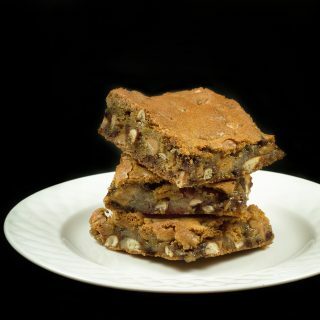 I loved the flavor of these blondies, I even added a bit of coconut and lime to make it a bit tropical. One thing I did note was that it was difficult for me to remove these from the pan..I sprayed with my usual bakers spray I use for all my bar cookies/brownies and these still gave some trouble to remove. Ill tweak some things and try again…but the flavor really as phenomenal..thanks for sharing! I love the idea of coconut and lime, sounds really great! 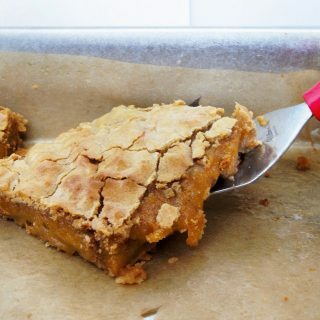 You might try lining the pan with foil and just lift them out and then cut them. I do that with most of my brownies, I don’t recall having any problems getting mine out of the pan, let me know how htings turn out when you tweak the recipe! I’m going to have to try them your way too! 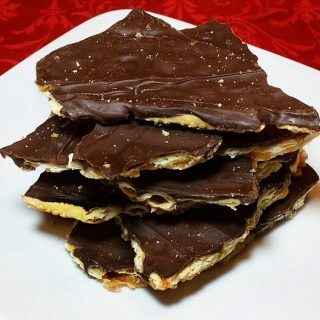 Chef Dennis – I made these yesterday. So delicious, especially the cream cheese frosting. This will probably be my go to recipe for all cc frosting occasions moving forward. so glad you liked them! thanks for letting me know! Looked soo good they are in the oven as we speak! They smell incredible! My daughter was so excited to help me make them! Oh, don't mind me. I'm sure here, drooling over your posts. It's doing wonders for my waistline, I'm sure. Really good post about Foodbuzz. It's a strange network, really, and you've obviously done well with it, so thanks for the insight! I love a blondie where you can taste the vanilla. I cant wait to hear more about the Ashville event! These blondies look amazing. The white chocolate cream cheese icing is my favorite part. These would be great to bring to a summer BBQ! 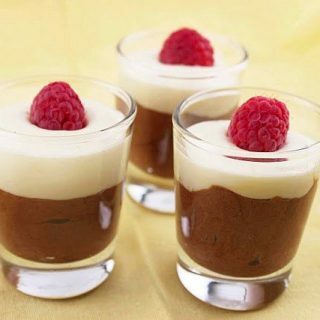 These look just decadent! 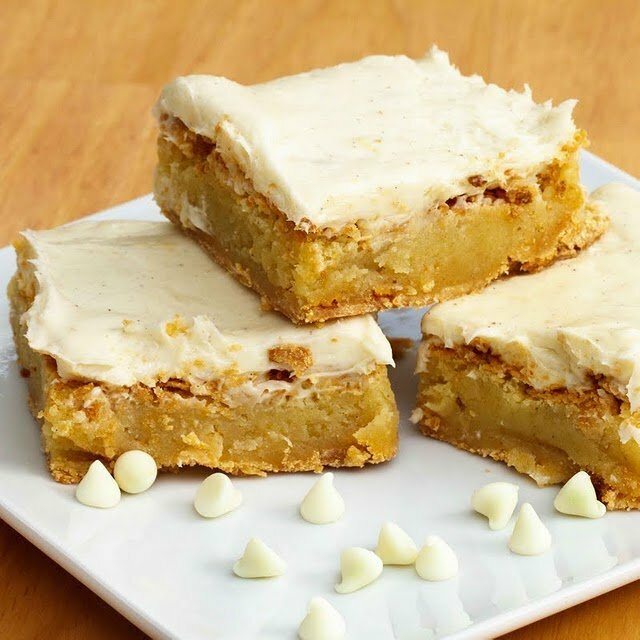 Blondies and white chocolate are perfect together! Congrats on the Top 9! I know these are as good as they look. it may just be one couples opinion, but 6.30 am doesn't constitute the start to a lazy day, does it?